Living a sustainable life is becoming a bigger priority for communities around the world. Increased awareness of environmental issues is driving more and more people to reconsider their personal impact on the earth. But for some, this goes beyond the basics of reducing, reusing and recycling. The demand for eco-friendly funerals is on the rise. Natural burial sites, sustainably made coffins, and more are springing up in cities across the world. But what’s the best option for those seeking a green burial? Deciding whether to bury or cremate a loved one’s remains is typically the first decision grieving families are asked to make. It’s also a preference that many make for themselves, communicating their wishes to loved ones for when the time comes. But which is best for the environment? The answer is not that straightforward. Traditional burial can be very unfriendly to nature. Bodies are typically embalmed, using chemicals that will leech into the surrounding soil as the body decomposes. Wood used to make coffins is often treated with stains and sealants that become hazardous as the materials break down over time. They may also contain metals and plastics that will never decompose. Cemeteries occupy large portions of land that are used for nothing else, with lawns that may be treated with pesticides. Cremation, often thought of as the greener option, also has an impact on the environment. An average cremation requires around 106 litres of fuel or natural gas, and releases approximately 227,000 tonnes of CO2 into the atmosphere. These emissions can be toxic. Dental fillings give off mercury, and caskets release all sorts of nasty chemicals when burned. Cremation rates are on the rise, as it is typically less expensive than burial. As financial pressure on families rises, so does the pollution caused by cremation. With more people showing concern over how their death will impact the environment, green options are becoming more readily available. The biggest impact can be made in how bodily remains are treated before burial. A mixture of essential oils can be used instead of formaldehyde. Embalming can be skipped completely in most instances, allowing the body to biodegrade in a truly natural way. Eco-friendly caskets are also gaining popularity. Biodegradable materials such as cedar, wicker or heavy-duty cardboard break down without releasing toxic materials into the soil or water table. Natural burial grounds—alternatives to traditional cemeteries—also allow people to be interred wearing shrouds made of cotton or burlap. There are also some unconventional ways to memorialise a loved one’s life in an environmentally positive way. Tree planting can mark the death of a close friend or family member, but their remains can also be incorporated into the event. Bios Urns house cremation ashes with a prepared soil mix. Families can add a seed or sprout of choice to the soil, and bury the 100% biodegradable pod. A tree or plant will grow using the cremated remains as nourishment. There are now movable products available that allow people to plan their Bios Urn indoors or easily take it with them if they move. Reef “pearls,” structures made of concrete mixed with ashes, are placed in the ocean to help facilitate the growth of coral reefs. Loved ones can be present when the pearl is placed, and are given GPS coordinates so they can visit the reef site again. Planning a sustainable burial can help lessen the environmental impact of your or a loved one’s death. If this is important to you, share your wishes with your family or include instructions in a will. 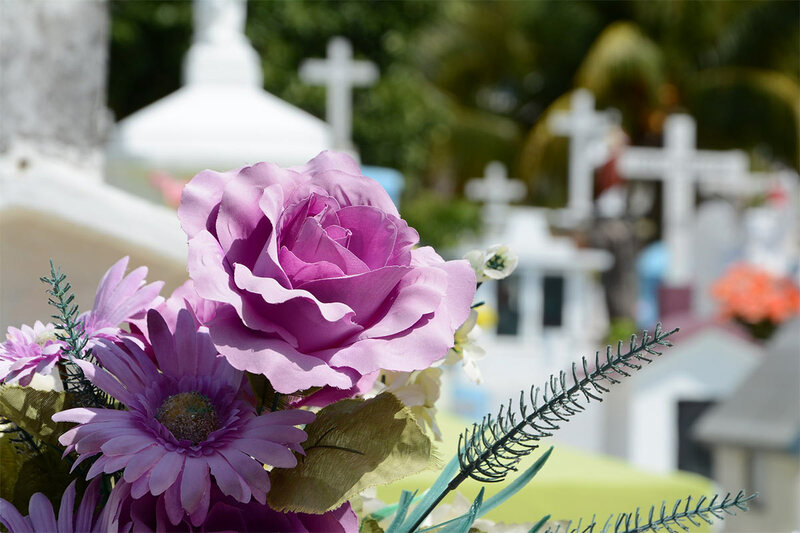 Payment options, such as a funeral insurance policy, can help remove any financial concerns and make the overall process easier for those making arrangements.